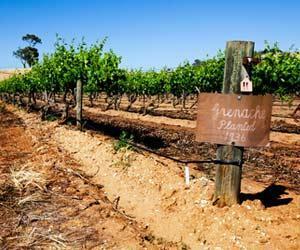 Family owned and operated, Barossa earthworks make its wines from 100% Barossa grapes, grown at small family owned vineyards. Drawing on more than 160 years of local wine knowledge, traditional winemaking methods and minimal processing are used to preserve the purity, integrity, texture and flavour of the wines. Wine Spectator 89Broad and spicy, with espresso, dark chocolate and toasted spice details to the cherry and blueberry flavors. The tannins provide appealing grip on the finish. Drink now through 2026. 600 cases imported.